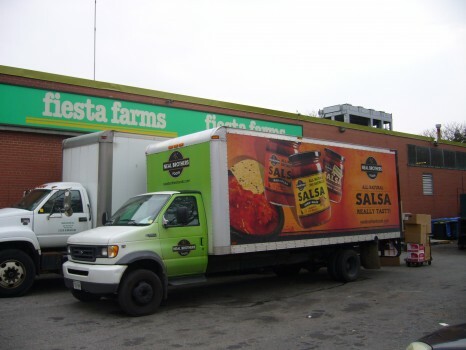 Rebecca Feigelsohn interviews Fiesta Farms’ Organics Manager Eddie Orso. 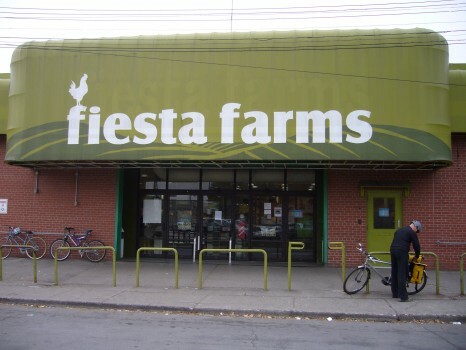 GFG: For those not in the know about Fiesta Farms, can you tell us a bit about it? Fiesta is a unique grocery store. First of all, it’s independent; it’s a family-owned grocery store whose main focus is local, organic, natural products. We have, in my opinion, one of the highest-quality produce selections in Toronto. Our buyer goes to the Ontario Food Terminal every morning to get the freshest produce. The thing about Fiesta Farms is that it’s not just a grocery store, it also integrates a health food store aspect. It’s kind of an all-in-one store—instead of going to a grocery store and a health food store, you can do both here. We carry a lot of superfoods! When did Fiesta begin carrying gluten-free products? Officially, as soon as the trend starting picking up. I’d say in the last five years it started trickling in. It’s been a combination of customer feedback and the buyers knowing what’s hot in the market. Our buyers are really on top of the trends and what’s happening in the industry. But with gluten-free products, there’s definitely been a lot of customer feedback because there has been a wave of people needing or wanting it, especially in the last five years. It’s interesting that instead of having a dedicated gluten-free section, your gluten-free products can be found throughout the store. When we first brought in organic products years ago, we decided to integrate the products throughout the store rather than have a section for it, to give customers a choice they may not have been aware of. This was successful, so we decided to do the same with gluten-free products. What are some of your most popular gluten-free products? 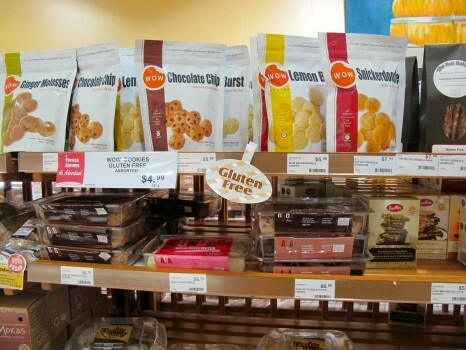 We have a wide range of gluten-free products, such as lasagna, muffins, prepared foods and over 100 grocery items. 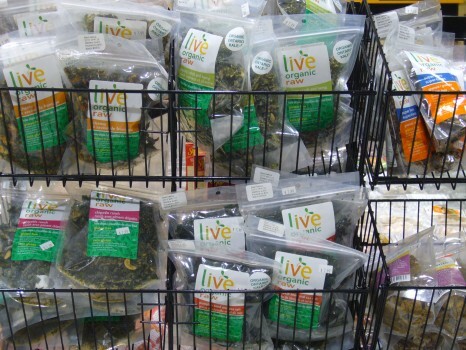 Some of our finer products come from local small businesses, such as Live and JK Gourmet. Mary’s Gone Crackers are a huge hit. 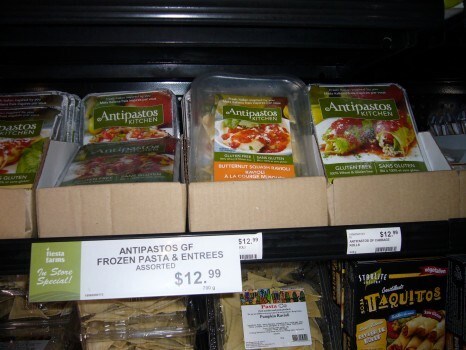 Antipastos Kitchen’s new line of frozen Italian GF pastas! Fiesta Farms will be showcasing some of its gluten-free products at the Gluten Free Garage, offering samples of apple cider and giving away coupons for 10% off any GF product at the store! Check out Fiesta Farms’ cheeky blog post about the Gluten Free Garage here! Posted in Blogs we ❤, GFG sponsor!, Products we ❤, Stores we ❤, Tummy love.